JON HAMAR is a versatile artist who has been recognized for his ability to find a tasteful unique voice in any musical situation. 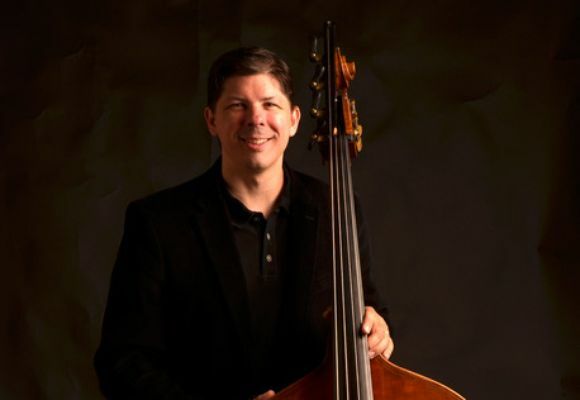 Jon earned a Bachelor of Arts degree in Double Bass Performance from Eastern Washington University under the tutelage of Roma Vayspapir and graduated from the Eastman School of Music with a Master’s degree in Jazz and Contemporary Media, studying with Jeff Campbell, James Vandermark, Harold Danko, Clay Jenkins and Fred Sturm. In 2015 Jon moved from Seattle to Knoxville, Tennessee joining the University of Tennessee and the Natalie L. Haslam School of Music. Jon has performed with Ernestine Anderson, Benny Golson, Bob Mintzer, Steve Wilson, Benny Green, Regina Carter, Jeff Hamilton, Sachal Vasandani, Geoffrey Keezer, Terrell Stafford and Pete Christlieb. Jon also performs regularly in orchestral and chamber settings and has recorded on numerous movie and video game soundtracks.